These are the best online bartending schools to quickly become certified, right in the comfort of your home. Want to become a bartender, but don't want to physically attend courses to get your certification? Well, you don't have to! There are many bartending schools where you can take the correct courses online. So, instead of actually attending these classes, you can attend them right at home. Gain your bartending certificate in your PJs? I don't see why not. But if you're on the hunt for the best bartending school to take courses online, we've got you covered. When it comes to bartending, it's only normal to gain the best knowledge of how to properly start making classic drinks, cocktails, and much more. We've listed the top ten best online bartending schools to enroll. And any of these online schools will provide you with the best bartending knowledge and quickly and painlessly achieve your certification. ABC Bartending School is seen to be one of the best online bartending schools ever. Their main goal is to form an environment where students can learn the skills of bartending, as well as enjoy the learning process. With locations throughout the country such as Hawaii, Atlanta, Dallas, Chicago, and more, the school is based in Charlotte, North Carolina. There are courses such as Bar Terms, Mixing Techniques, Liquor Encyclopedia, Beers/Wines/Champagnes, and many other classes to increase your knowledge in bartending. They even provide you with tips on how to nail a job interview. The Bartending College Online is known to be among the best online bartending schools in the US. The school is backed by their brick and mortar Bartending Schools Nationwide and their aim to provide the best bartending education and training you can possibly get. They guarantee once you’ve completed all the courses, you’ll be a pro bartender. What’s great about this online school is that you can create your own schedule right at home, for a fraction of the price. They also provide all students with a rich, interactive, and highly engaging bartending training program, that includes hours of instructional videos, exams, and tools, such as a bartending resume builder. An amazing bartending online school that offers immense information about bartending is Bartender and Barista. Through each course, you’ll learn in full detail about bartending tools, how to set up, mixology, and even how to manage a bar/cafe. This bartending online school will get you your bartending certification in just weeks, and before you know it, you’ll already be a bartending expert. Courses that are offered here include pouring techniques, knowing your liquors, mixology, bar supplies, setting up, and much more. Many of these courses will give you the skills that come with advantages like getting your foot in the door, and even boosting your employability. Express Bartender is among the best online bartending schools to consider enrolling in. Courses offered here will teach you in detail how to create 125 different signature cocktails, provide you with liquor knowledge, and how to use all of the essential bartending tools. What makes this bartending school a great one is that you can get a 100 percent refund if you aren’t satisfied with a course within 30 days. This school provides you with the essential knowledge on how to bartend like a professional. With simple, easy courses in a couple of weeks, you can gain a bartending certification right at home! You don’t even have to physically attend any of these courses. Practice mixing drinks at home… in your PJs! As a plus, Express Bartender helps you get a job, too. Among the best online bartending schools, LBS In-Home Bartending School actually provides you with the bartending tools when you enroll in a course with an additional price. So, instead of buying all of the essential tools separately and yourself, courses here suggest you spending a few on a kit that will lead you through the course. They also give you the option to pick which certification you want to gain: TIPS Responsible Serving Certification or State Certification. This bartending school also provides a certification that’s valid in all 50 states in the US. The best part? You can gain all of this right in the comfort of your home. Ever heard of the Harvard Bartending Course? You can become the ultimate bartending master after you’ve completed your courses here, and gained your bartending certification. 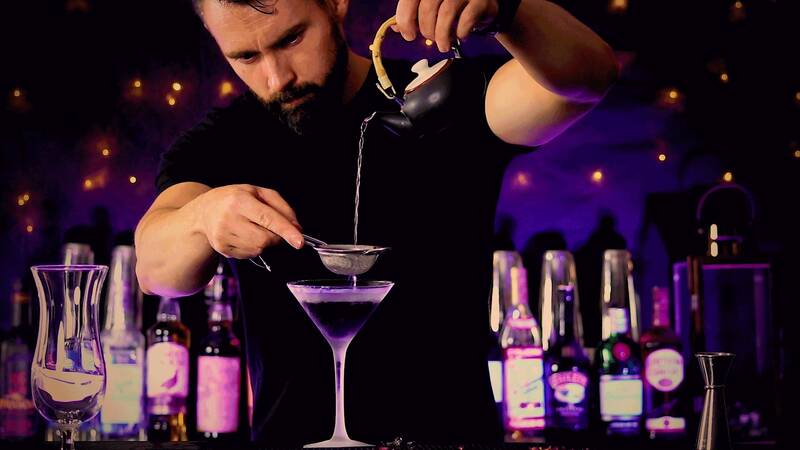 Known to be one of the best online bartending schools, this online school offers courses such as the Deluxe Course, The Art of Mixology Course, Services, Products, and more. As amazing as this bartending school sounds, students can gain a hands-on experience… in just one day! You don’t see that in many bartending schools. While the instructors are passionate about their jobs and bartending, they guide you and teach you everything you need to know. Courses at A Bar Above are all taught through high-quality videos with notes and quizzes. The quizzes aren’t pressuring—only to have you thoroughly understand the lessons and what’s being taught. As a plus, they offer students cheat sheets to help remember what you learned, and can be traced back as a future reference. While all students have a lifetime access, it’s no problem to return and refresh your memory at any time. Since all of the lessons, quizzes, and exams are mobile-optimized, you have the ability to learn how to bartend straight from your house or even at a cafe. You’ll learn how to whip up delicious cocktails and know each liquor like the back of your hand in no time. Professional Bartending Schools of America is definitely among the best online bartending schools to enroll in. Providing the best hospitality education, the school offers curricula, textbooks, and even job placements (which is always a plus). While PBSA consists of 32 state-licensed campuses, you have the chance to learn bartending skills online, as well. Through flexible courses, experienced bartending instructors, and one-on-one job placement assistance offerings, PBSA truly provides an easy process to gain your bartending certification. 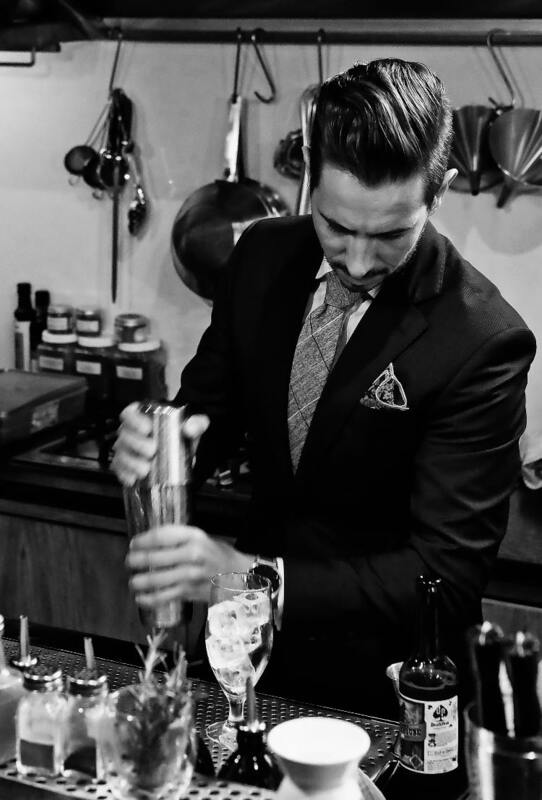 Many bartenders find this school to be a huge success and the job a fun and rewarding career. Bartending School of Denver isn’t playing around when they mention providing the best and most up-to-date bartending information and skills to their students. With courses you can simply take online, each course is filled with information on how to become an expert on all things liquor and drinks. With a brand new facility and equipment, you’ll learn how to properly bartend like a professional bartender in no time. While taking their online courses, you’ll have access to live lectures and learn everything straight from home. Soon, you’ll gain your certification and become a great bartender. Lastly among the best online bartending schools is BarSmarts by Pernod Ricard USA. 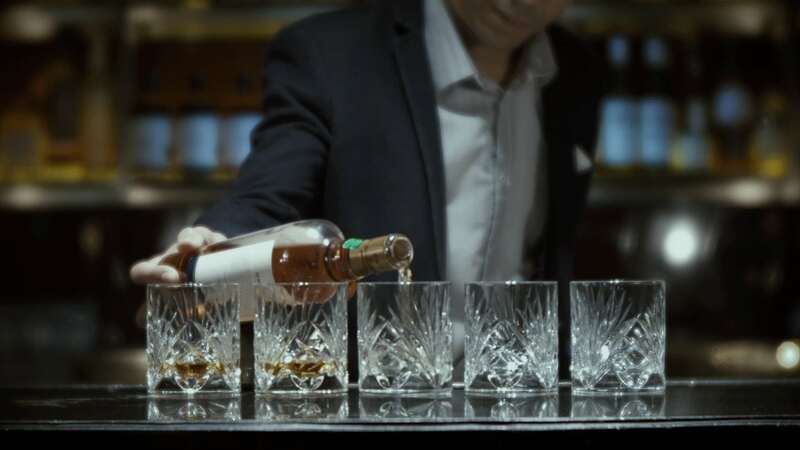 Claimed as the industry-leading bartender education program and providing engaging online instructions, you can simply complete the program in just 60 days. And once those 60 days pass, you’ll already be a master bartender. While there are zero registration fees for those taking the offer, there are courses such as Basic Production Methods, Intro to Spirits and Liqueurs, History of Spirits and Liqueurs, and much more to guide you into gaining the best bartending education. So why physically attend bartending classes, when you can simply learn how to be an expert bartender at home? BarSmarts gives you that opportunity.